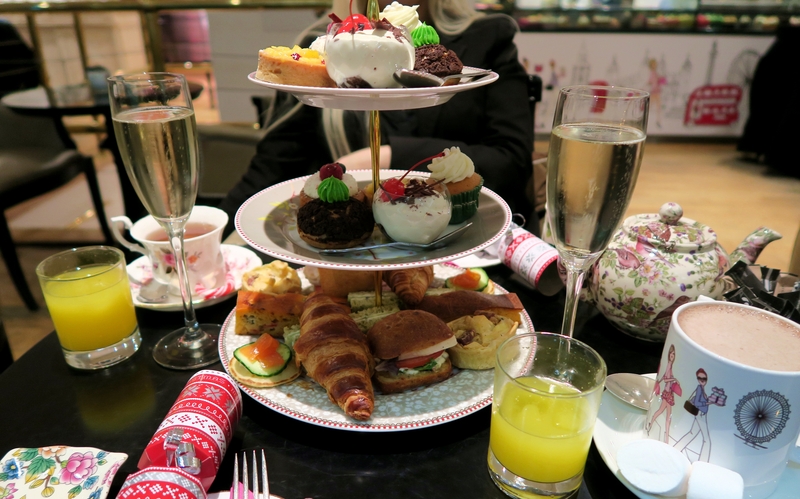 If you’ve read my London Winter Bucket List, you’ll know that I wanted to try a “festive” afternoon tea because there is no combination better than “food” and “Christmas”. You may also be aware if you follow me on Twitter that I have two work buddies who are also bloggers, so we jumped at the chance to make a booking a B Bakery in Covent Garden for one night after work! Sadly Charlie (lifestyle blogger) wasn’t able to make the evening but it’s okay because myself and Amy (baking blogger) definitely ate enough on her behalf! Formally know as “Bridget’s Bakery”, B Bakery is famous for it’s Afternoon Tea bus tours which, if you hadn’t guessed, involve eating a selection of Afternoon Tea classic foods whilst touring around London on a big red bus – could you do something more quintessentially English? 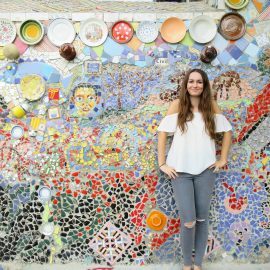 My friend Charlie has written about her experience on the bus here if you’re interested. I really like the idea and it would be great for someone who is only in the city for a few days but wants to sample the English tradition of Afternoon Tea whilst still being able to continue their sightseeing! However, if you’re not a fan of eating whilst in motion (not an issue for me, I will eat wherever and whenever I can), you’ll be glad to hear that the have a cute little bakery in Covent Garden. 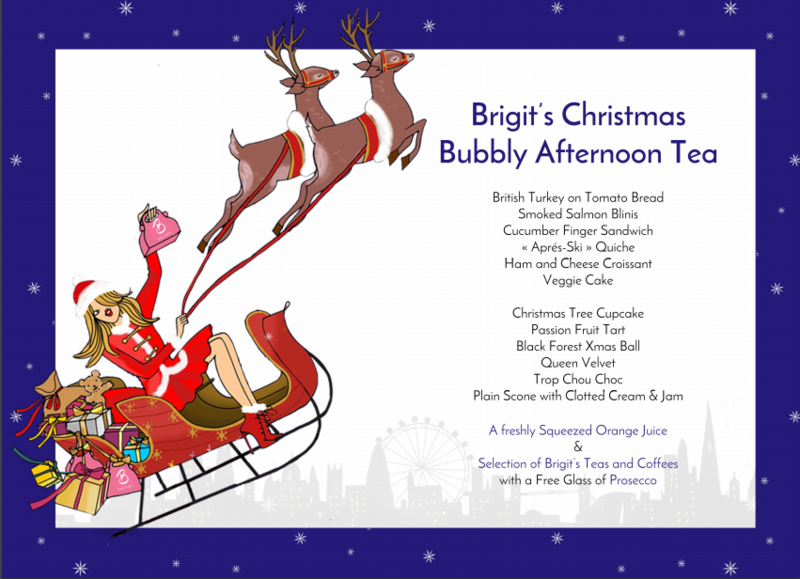 From 15 November 2016 – 5 January 2017, B Bakery offer a “Christmas Afternoon Tea” and the menu features some great twists on the usual afternoon tea classics. The turkey sandwich was to die for (who doesn’t love a good turkey sandwich?!) and there wasn’t one thing on the menu that we didn’t enjoy. I only removed the salmon from the smoked salmon blinis as I don’t eat fish – otherwise everything was perfect! The only thing that could have improved the menu is something that truly makes you think of a good Christmas dinner like pigs in blankets maybe? I am obsessed with those tasty little buggers. 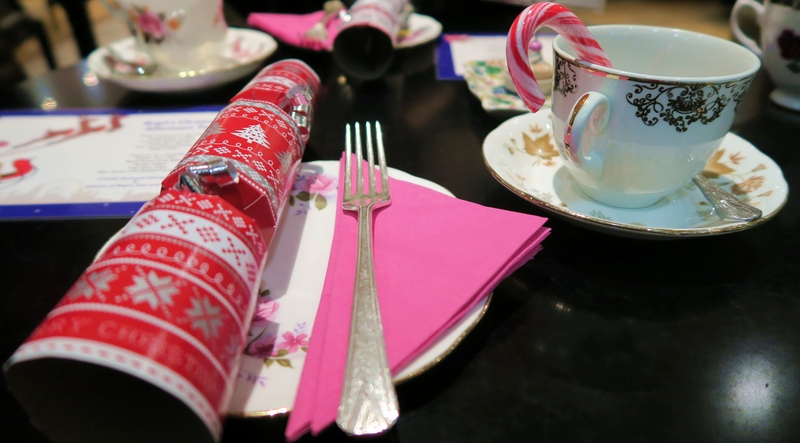 There was a wide selection of teas and coffees, including one Christmas Tea which is cinnamon based – yum! But of course I opted for the hot chocolate which was great! As well as a hot drink, a glass of fresh orange juice and a glass of prosecco are included in the price! 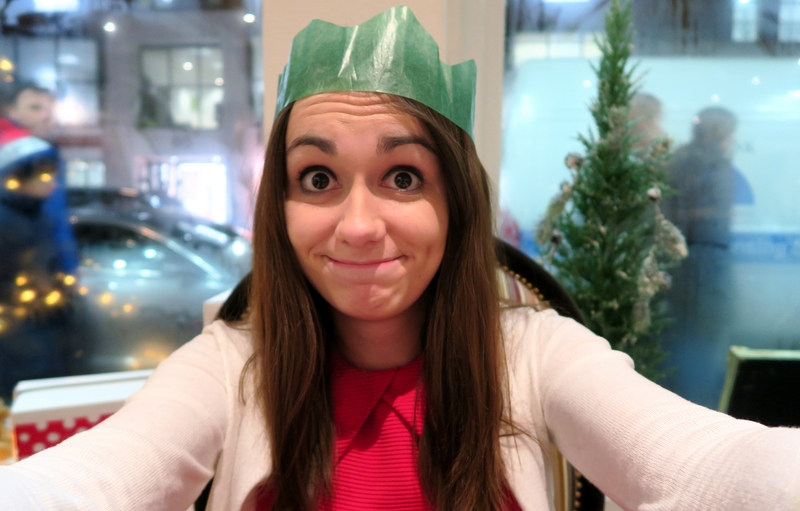 For £33 on a weekday and £36 on a weekend, this isn’t the most expensive afternoon tea experience available, you get a lot of food/drink and it will definitely get you in the Christmas spirit – there’s something about pulling a Christmas cracker and plonking a silly hat on my head (ridiculous selfie below) that makes Christmas seem real – so if you are in London and want to try something new, I’d definitely give this a go! 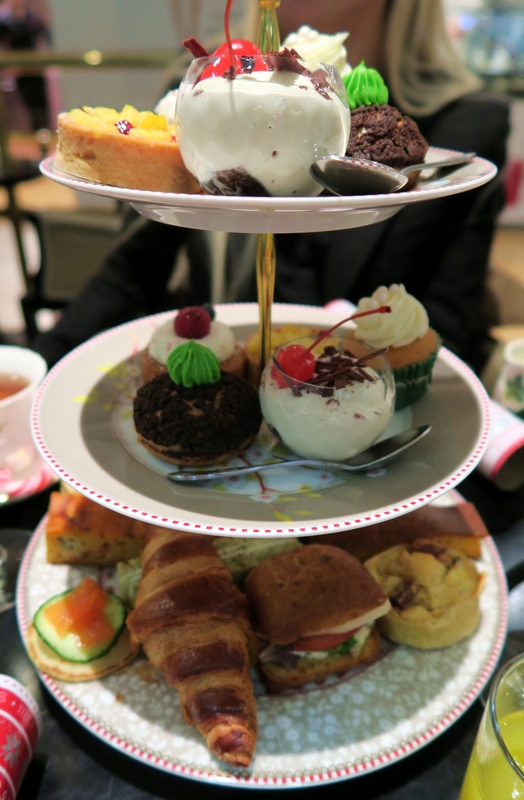 I’m an avid fan of afternoon teas and it was great to try something a bit different to the usual fare. Have you visited B Bakery before? What did you think? For a while we've said we must give the Afternoon Tea Bus a go but never got around to it. So, when we won Afternoon Tea for two at a social media meetup in January we were absolutely delighted! Getting to ride London's iconic vintage Routemaster is a treat, to do it whilst eating tasty cake… awesome!! Oh wow, sounds so great! I really need to try out the bus version!